OTTAWA, Dec. 4, 2018? –?Hundreds of First Nations leaders, Elders, women, youth and other delegates are set to gather December 4-6, 2018 for the Assembly of First Nations (AFN) Special Chiefs Assembly (SCA) taking place at the Westin Hotel on unceded Algonquin territory in Ottawa, Ontario.? 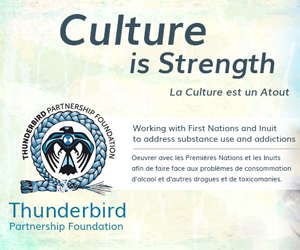 Chiefs and delegates will gather under the theme “Acknowledging our Challenges, Successes and Opportunities” to assess progress, and set priorities and strategic direction for the coming year. 11 a.m. –? Andrew Scheer, CPC, Leader of the Official Opposition. The Assembly of First Nations is the national organization representing First Nation citizens in Canada.? Follow the #AFNSCA on Twitter @AFN_Updates.